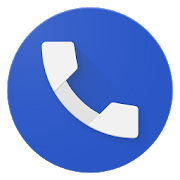 The Google Phone app has been updated fairly frequently as of late. In December, assisted dialing was added, and floating chat heads arrived in February. Now the company has opened a testing program on the Play Store, so you can try out in-development features before they arrive for everyone. You can sign up for it at the source link below, but Google recommends you don't sign up for it on an account tied to your main phone. At the moment, there are no changes between the stable and testing versions, but that will probably change soon.